Repeater Books is dedicated to the creation of a new reality. The landscape of twenty-first-century arts and letters is faded and inert, riven by fashionable cynicism, egotistical self-reference and a nostalgia for the recent past. Repeater intends to add its voice to those movements that wish to enter history and assert control over its currents, gathering together scattered and isolated voices with those who have already called for an escape from Capitalist Realism. Our desire is to publish in every sphere and genre, combining vigorous dissent and a pragmatic willingness to succeed where messianic abstraction and quiescent co-option have stalled: abstention is not an option: we are alive and we don’t agree. Repeater Books is a new imprint of Watkins Media, a collective of niche businesses which includes that cornucopia of esoterica Watkins Bookshop in Cecil Court, London. 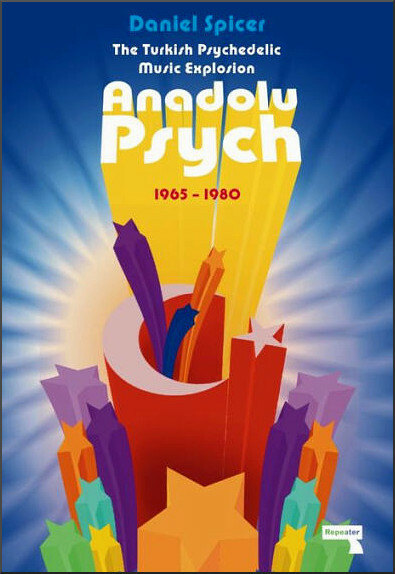 Those with a post-social media attention span can listen to Daniel Spicer's substantial Turkish psych compilation via this link, while another Repeater title Mad Skills: MIDI and Music Technology in the Twentieth Century is a welcome alternative to the doctrinaire music narratives elsewhere.